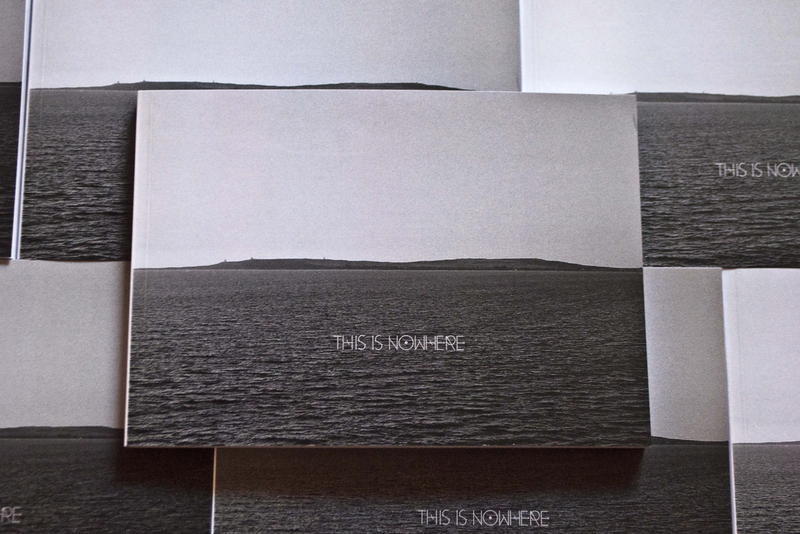 This is nowhere is a photographic diary dedicated to the northern tip of the peninsula of Sinis, in Sardinia, where I grew up. This area is mainly known for the beauty and variety of its numerous beaches, concentrated in a few miles, which are invaded by tourists from June to September. Being an area frequently exposed to the strong maestral, it is also the ideal destination for surfers arriving from all over Europe. I don’t care about surfing, and I don’t particularly like crowded beaches. Each copy comes with an additional 15×21 cm print from polaroid on 300gsm Fedrigoni Stucco Acquerello. I was born in Oristano in 1983. I studied Cinema in Pisa, Italy, where I now live, taking photographs, developing and printing. In 2013 I stopped smoking and produced the first volume of A Forest, a photographic zine about losing oneself. With the money from selling the first volume I public a second one, and so on to the fifth, released in the fall of 2015. A Forest volumes 2,3 & 4 are accompanied by audio CDs with soundtracks written by Lomìno and Enrico Ruggeri. At the end of the 2016 I published The Silence Between Darkness And Light, a silent&noisey book&disc, once again with Lomìno.